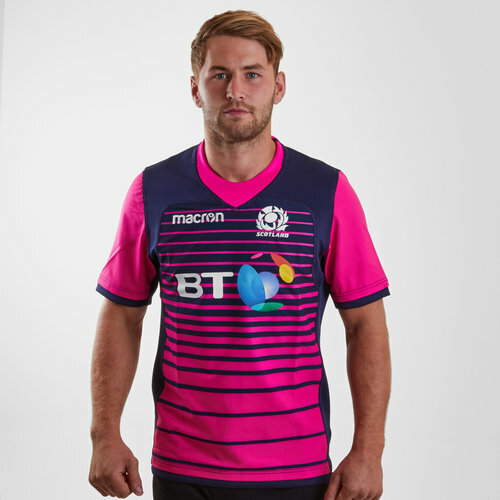 This shirt is striped navy and pink, it starts navy and fades into pink through the stripes. 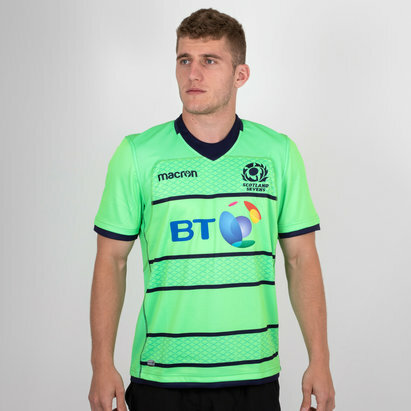 The sleevs and collar are also pink. 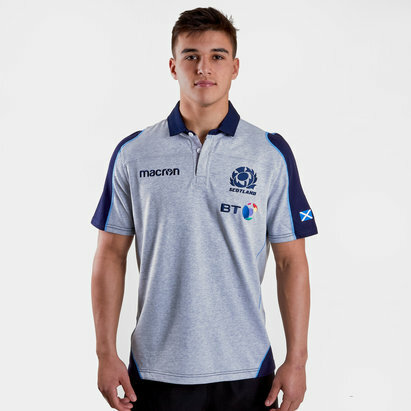 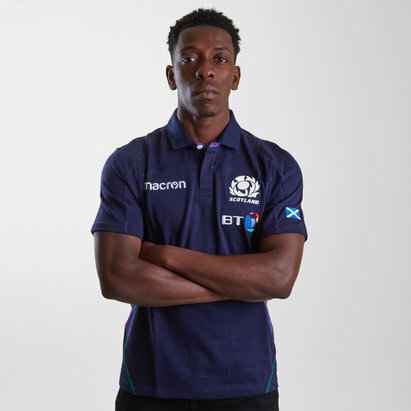 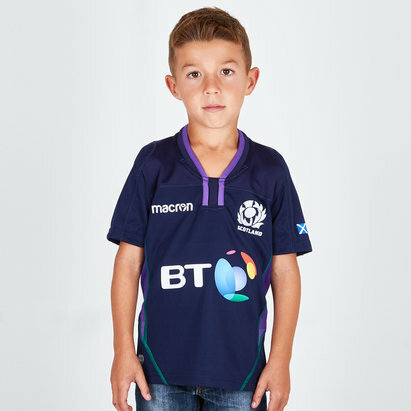 The Scotland rugby crest is embroidered on the left as worn whilst the Macron logo is on the right. 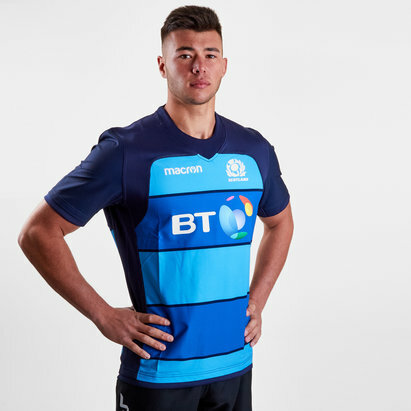 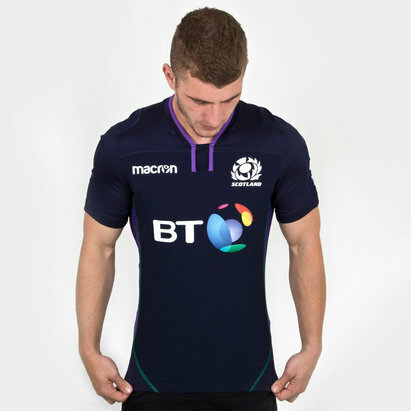 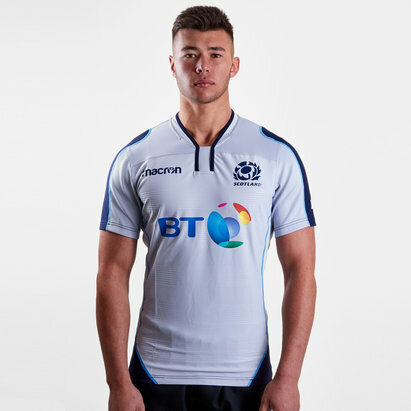 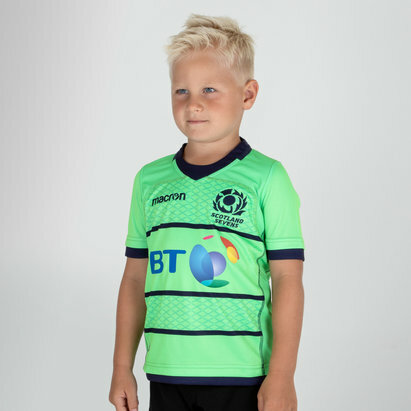 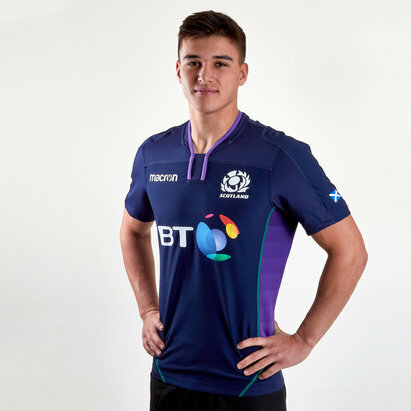 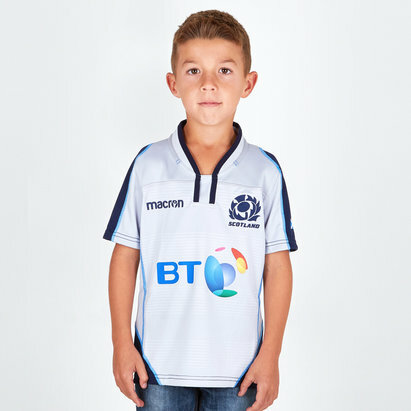 The team's sponsor - BT, as of 2014 - is printed across the chest.